Adriana was born and raised in Chicago and is familiar with its many neighborhoods. Adriana’s career in the real estate industry has given her the ability to combine psychology and business in order to help people find a home in this wonderful city. Adriana received her Bachelor of Arts in Psychology with a concentration in Human Services from DePaul University. 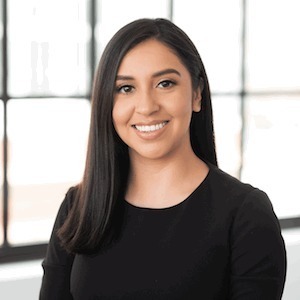 Shortly after, Adriana decided to pursue a career in real estate and enrolled herself in the broker’s licensing course at the Chicago Association of Realtors. Concurrently, she pursued her Masters of Business Administration in Finance from Roosevelt University. When not busy with work or school, Adriana enjoys exploring restaurants in Chicago, traveling and spending time with friends and family.